Papers: In Royal Society (Great Britain), letters and communications from Americans, 1662-1900, on 10 microfilm reels; Richard Price papers, 1767-1790, on microfilm; and Samuel Brecks manuscript, Recollections of my Acquaintance with Deceased Members of the American Philosophical Society. Papers: 1787-1840. 1 volume, 110 items, 2 microfilm reels. Correspondence, business papers, and a letterbook (1835-1840) concerning sale of lands. Additional items in the Joshua Whitney papers, 1792-1907 (bulk 1792-1861). Papers: 1777-1917. 40,000 items and 2 volumes. 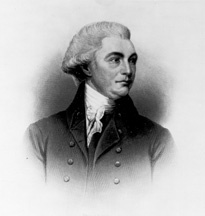 Chiefly pertain to administration of the Binghams estate, which was largely invested in undeveloped lands in Pennsylvania, New York, and Maine, and some business papers, including documentation of the Knox-Duer purchase of Maine lands in 1791. One volume contains letterpress copies of Binghams letters (1791-1793). The other contains photostats of letters and land agreements (1795-1803). Additional Papers: In the Powell family papers, 1700-1925; Ball family papers, 1676-1879; R. Sturgis Ingersoll collection, 1822-1917, of 8 Bingham estate letterbooks; and in Wharton and Willing family papers, 1669-1887. Papers: 1776-1801. 1 container. Finding aid. Papers: Ca. 275 items, chiefly correspondence and papers concerning his estate (1772-1824) in various collections. Papers: 1788, 1790, 1792-1794. 9 items. Correspondence contained in the records of the Department of State. Finding aid. Papers: 1778, 1787, 1800, 1801. 4 letters. Official and business correspondence. Research Libraries Information Network In addition to the institutions listed above, items are also cataloged in collections at: New York Public Library, Rare Books and Manuscripts Division, New York, NY; and University of Pennsylvania, Philadelphia PA.